On behalf of the hundreds of community associations that this law firm represents throughout the state of California, we urge you to VETO AB 634 (Eggman). This legislation would strip condominium associations and the unit owners with the ability to prohibit one owner from taking exclusive control over a portion of the association’s roof for a solar energy system that would only serve to benefit that one owner. Appropriately, the Solar Rights Act does permit community associations the ability to impose “reasonable restrictions,” which has correctly been interpreted by as giving them the authority to impose prohibitions on the installation of solar energy systems on their common area roofs. The proponents of AB 634 claim that this is misinterpretation that they seek to address by this proposed legislation. This proposed new law would prohibit a community association from adopting a general policy against the installation of a residential solar energy system on the roof of the building in which a condominium owner resides. The proponents clearly do not understand the negative impact this new law would have on condominium associations and the unit owners over the maintenance, repair, replacement, use and control of the association’s common area roof. AB 634 also claims to deal with what the proponents call the misuse of Civil Code 4600 in the Davis-Stirling Act as justification for requiring approval of 67% of a community association’s membership before an association’s board can approve a single homeowner’s right to install rooftop solar and thus exclusively control a portion of the common area roof. AB 634 seeks to exempt approval of rooftop solar installations from the 67% vote requirement, thereby denying the association and the rest of the members the ability to use that portion of the roof. This is exactly what Civil Code 4600 was enacted to prevent. Why should one unit owner be able to take over a portion of the association’s common area roof without the approval of the rest of the owners! 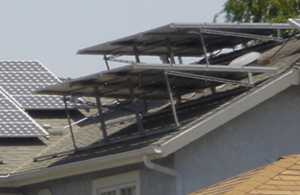 Proponents of the legislation claim that AB 634 provides protections to homeowners who share roof space with a homeowner applying for rooftop solar systems, and all other homeowners in the community. We do not agree. There are many reasons why many condominium associations do not allow one owner to install a solar energy system on a common area roof, including the interests of the other owners that may not want to see their roof used in that way, preclusion of other owner’s ability to install their own solar system, damage to the roof, impact on roof installation warranties, impact on the ability of the association to maintain, repair or replace the roof and the list goes on. And what about the fact that the owner that installs the system today may sell that unit and the new owner may refuse to maintain the solar energy system or cooperate with the association on roof maintenance or repair. These are just some of the many issues that the proponents want to ignore. We urge you to VETO AB 634.